Lucy Martin creates bold, modern jewelry for strong women. I love the clean lines and bright gemstones paired with dark oxidized silver. After getting to know more about Lucy and her inspiration, I am even more enamored with the collection - especially her earrings, and even more specifically her Duo Earrings. Enjoy the interview below! I studied jewellery design and making in Birmingham School of Jewellery (UK) many moons ago – following an interest in counter-culture, body art and large-scale body jewellery. I was drawn to bold designs in metal and how they interact with the body. After my studies I lived in Oxford, where I shared a studio with an amazing female silversmith. She was incredibly generous with her knowledge, and taught me lots about how to run a jewellery business. During this time, my business gained momentum and I started getting regular clients. In 2002 I returned to London, and moved into Cockpit Arts’ new building in South London, I was one of the first residents there. I usually sketch with an intention, knowing in advance if it’s going to be rings or earrings for example. But the most common way I’ll start designing is by gathering images for inspiration by taking photos on my mobile. Usually I seek out interesting colour combinations and textures, or a small architectural detail seen in the city. From this I’ll think about how to recreate the effect with gems, and start the gem selection this way. 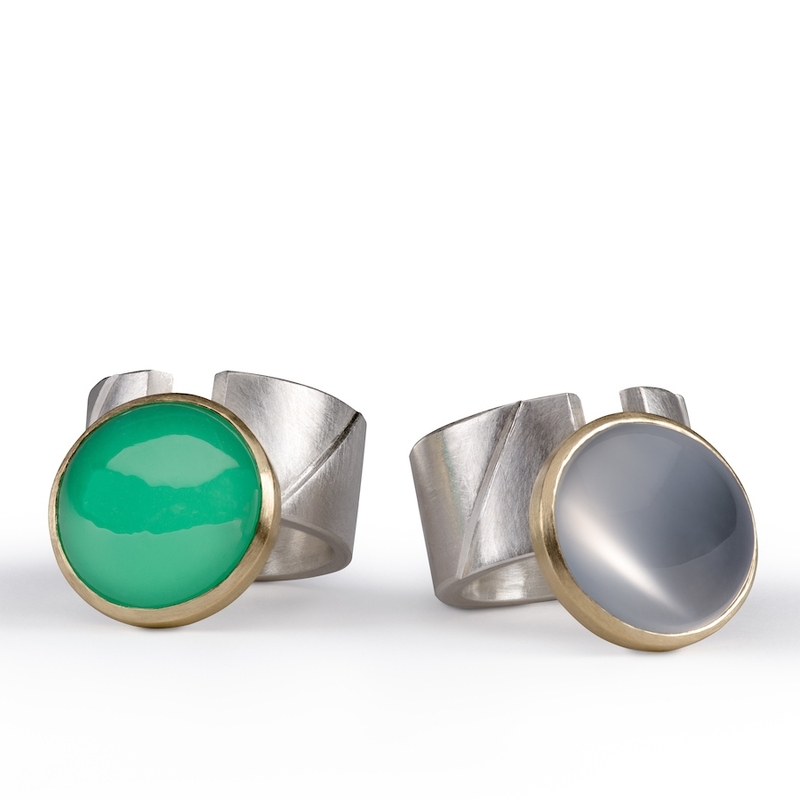 Colour: In particular in textiles & interiors design, I look to these much more than I look to jewellery really. I’m a huge fan Kit Kemp & Abigail Ahern in interiors, both of whom use colour & contrast brilliantly. Whenever I travel I collect textiles from those places, I especially love Indian and Moroccan textiles - their use of pattern and colour is so bold & modern. 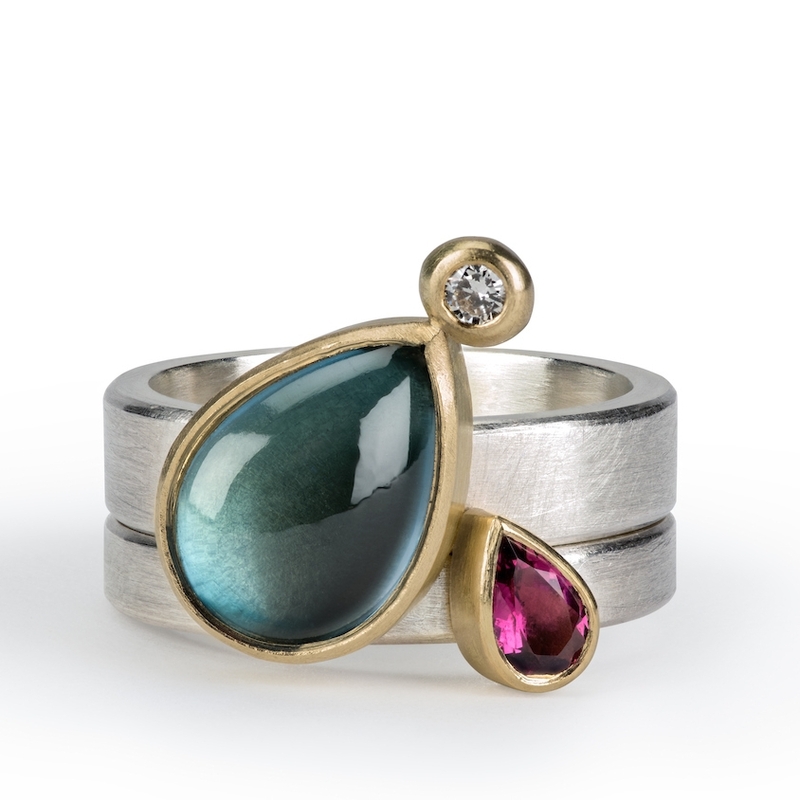 Materials: I definitely think of gemstones as my primary material rather than metal. I love to create bright & moody contrasts, or contrasts in texture and structure. This is why I often work with moonstones, they serve as a tempering, subtle force against more sparkly stones. Strong women, particularly in music and art: I was studying art during the grunge era; the bands were feminist and the look was full of contrast, boots with nightdresses, sequins with army jackets. I think I still love that contrast and can see it in my work – I have to balance the bright, sparkly stones with the darker non-precious ones. Strong women who are successful on their own terms inspire me and I’d like to think my designs are for them. Bold sculptural forms: I’m a fan of modernist architecture, especially the detail inside those buildings - they really inspire me when I’m working on the mechanics of my work, the clasps & fixings etc. And I absolutely love the sensuous forms of Isamu Noguchi’s and Barbara Hepworth’s sculptures. Favorite design: The Airstream earrings are my current favourite. They embody my design ethos as a whole: the sleek shape echoes mid-century design and they feature strong contrasting colours and asymmetry. They also articulate and hang really well when worn. Personal collection: Within my own collection, my favourite is a vintage necklace which is a long plat made with several strands of tiny gilded beads. It’s a lovely statement piece from the 1930’s. Daily jewels: On a day-to-day basis I just wear my gold wedding ring and a gold nose ring! For special events, I wear my silver and gold ring with a white star sapphire which has a beautiful internal structure. 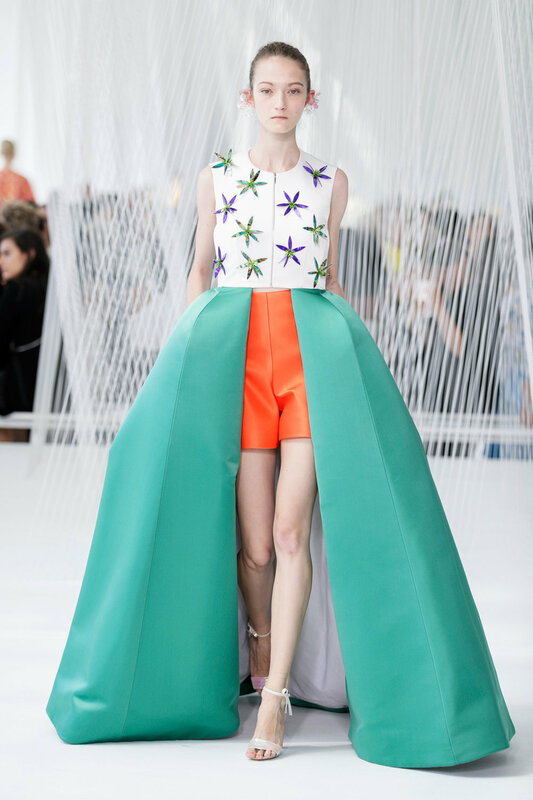 Favorite designers: I think fashion label Delpozo is wonderful – Designer Josep Font makes joyful colourful creations. They are really feminine but also unapologetically bold & sculptural. In jewellery, I love the Munsteiners and Petra Class, their use of colour & texture is brilliant. Other than jewelry: I love to travel, whether for short breaks in the UK or internationally – India is one of my favourite places to visit. I plan my year so I have seasons of work regularly followed by travel, I find it really refreshing. When I return from those trips, I always know what direction my business is headed in. Sometimes it is a direct visual inspiration from the trip, but sometimes just being away from home and my usual routine just ‘unlocks’ the brain. Currently listening to: I can never pick a favourite, but this month I’m listening to Sia whenever I need a lift – that voice!